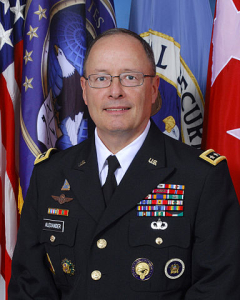 GovTech spoke with former NSA director Keith Alexander and reported on his comments in which he addressed the ways in which rapidly evolving technologies necessitate a new approach to security. Alexander has founded a future-focused startup, IronNet, which offers “Cybersecurity Software-as-a-Service” (CSaaS) as an alternative to the reactionary “patch-and-pray” methods that are no longer viable. We need to move now to a new approach to cybersecurity — an approach that is proactive, agile and adaptive. The old reactive methods, which are based on static perimeter defenses, are not sufficient. Innovative approaches begin with the capability to have visibility across a company’s network, and this visibility needs to be in real time. Then, with this visibility, we can see how machines and people behave on the network, and we can identify changes in behavior. It is these changes in behavior that allow us to identify malicious activity and cyberattacks — and then to take steps necessary to protect a company’s network and data.